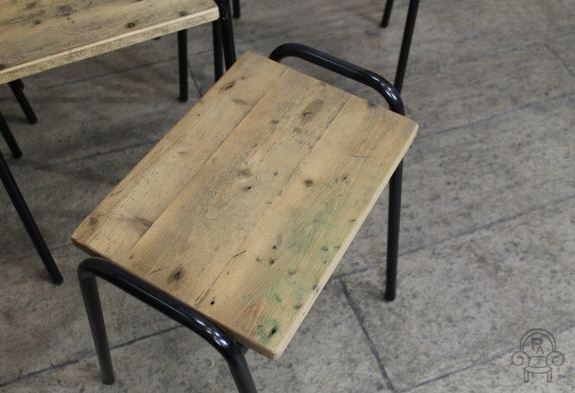 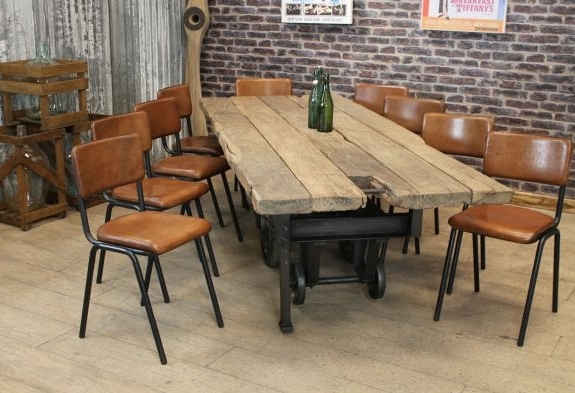 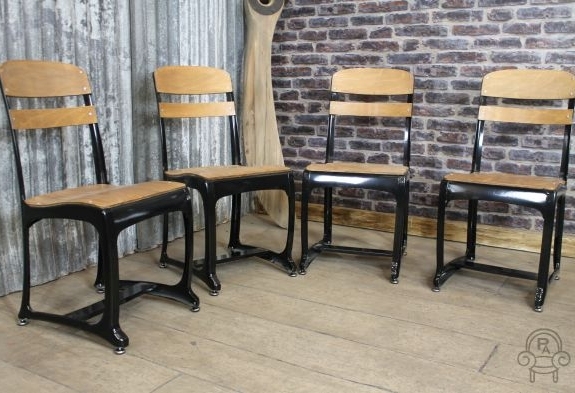 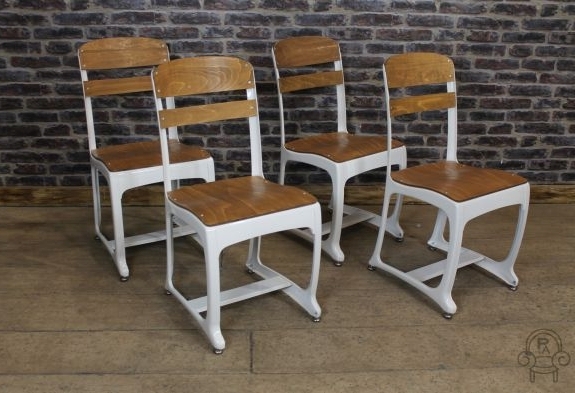 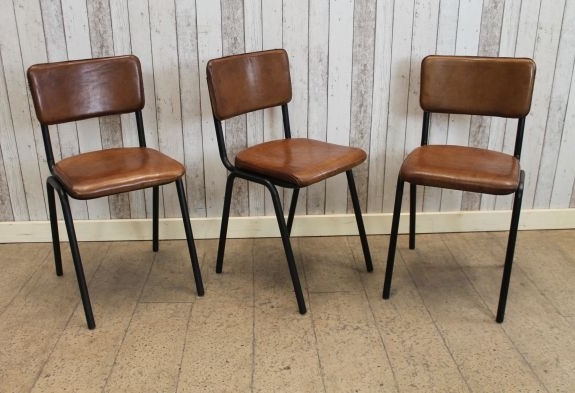 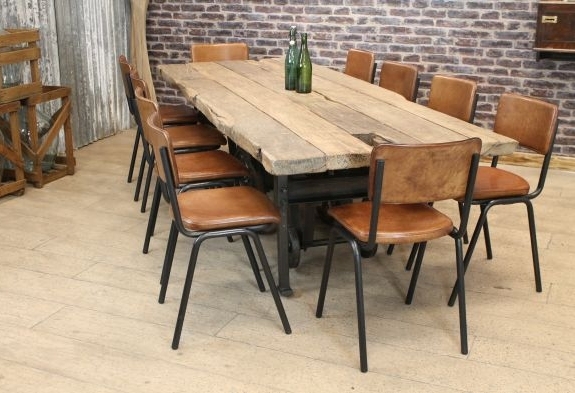 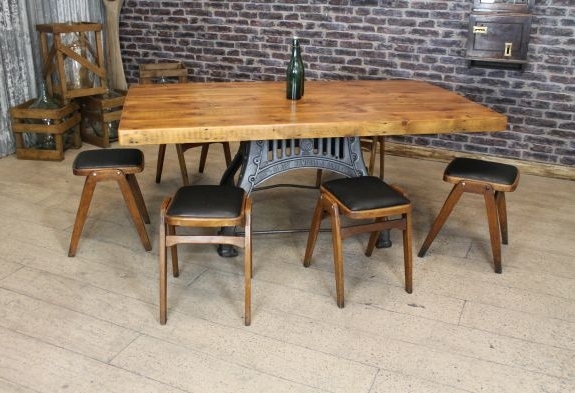 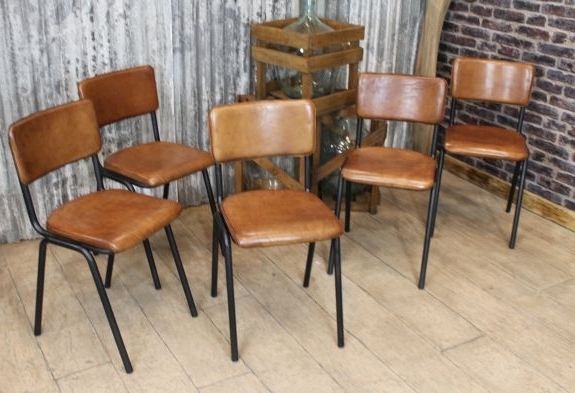 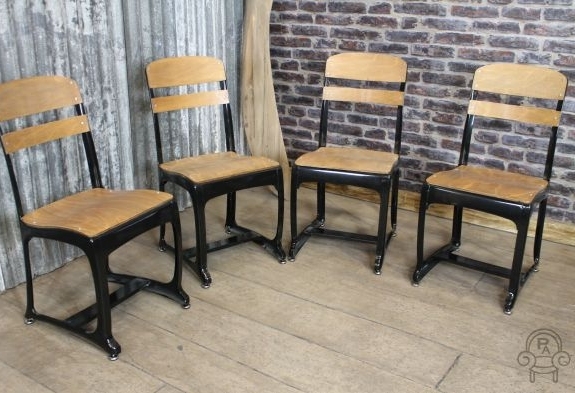 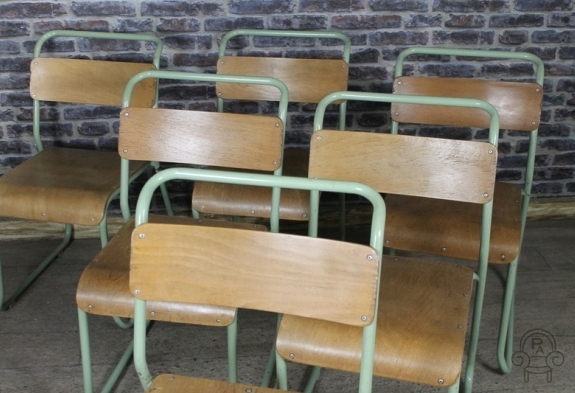 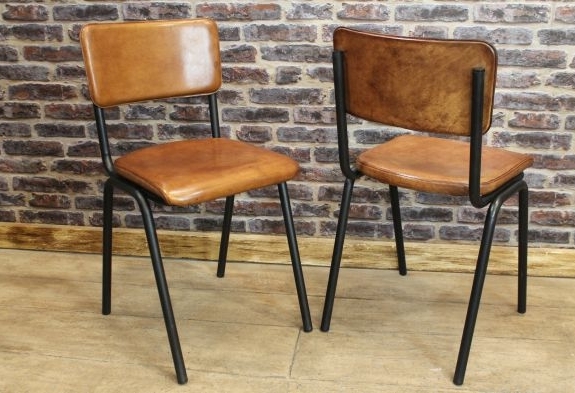 These vintage plywood stacking chairs are a great addition to our vintage and industrial seating range. 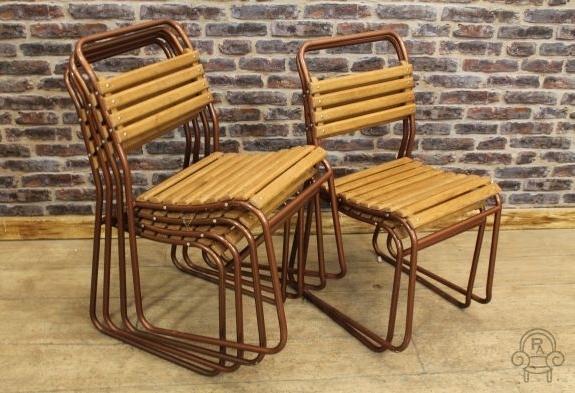 These chairs are very durable, extremely sturdy and as they stack, are great if you have limited storage space. 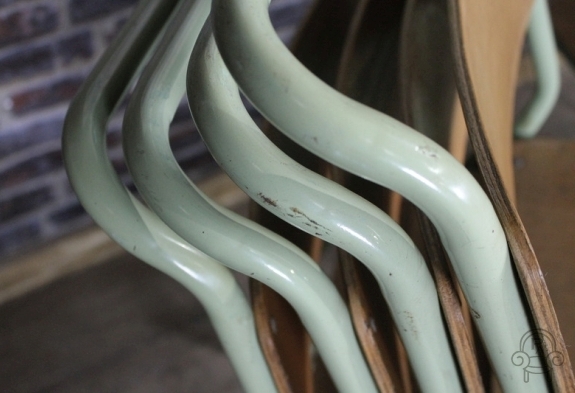 The chairs have a pale blue/green metal frame and are fitted with curved wooden seats and back supports. 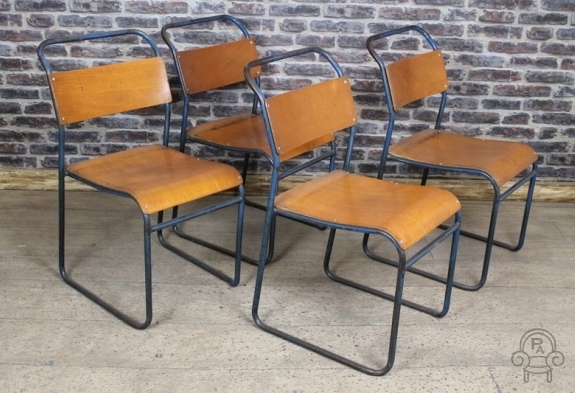 These great chairs are in good condition, with no breaks to the steel work. 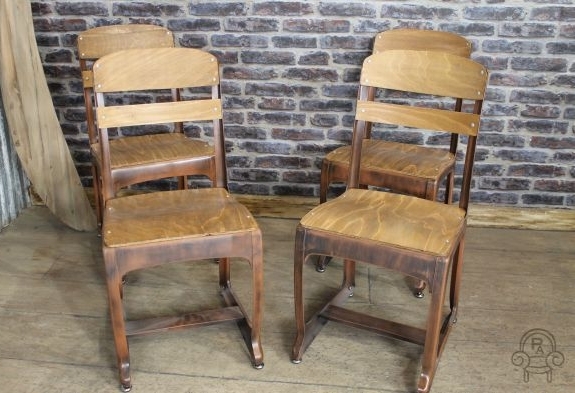 However, as you will appreciate, these chairs have been in daily use and so may show some signs of wear and tear, which we feel only adds to their charm. 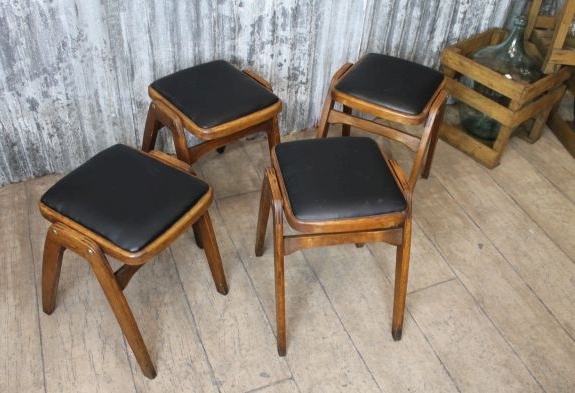 These vintage plywood stacking chairs would be ideal for use in a cafe, bar or contemporary kitchen. 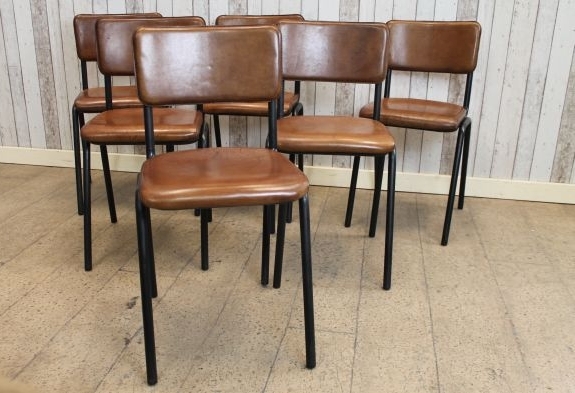 Please note: this listing is for one chair only, but we do have more available. 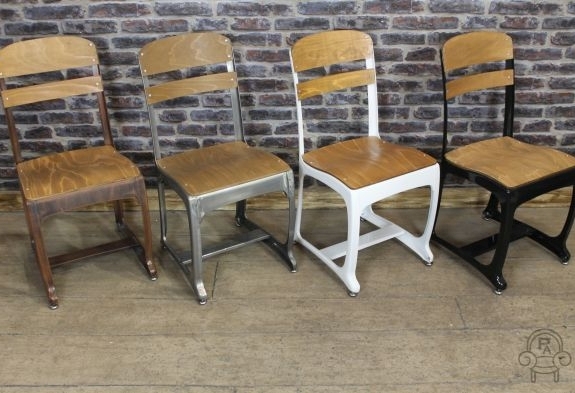 We have 100s of stacking chairs in stock in a variety of different styles. 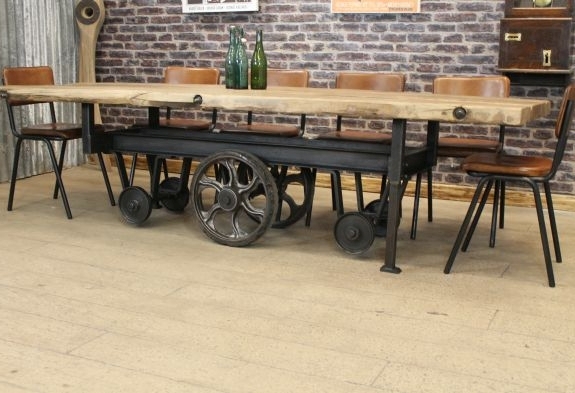 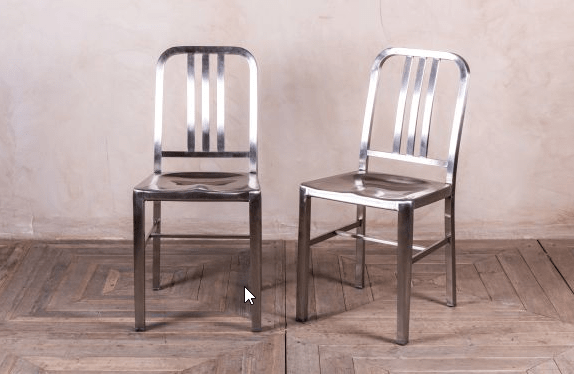 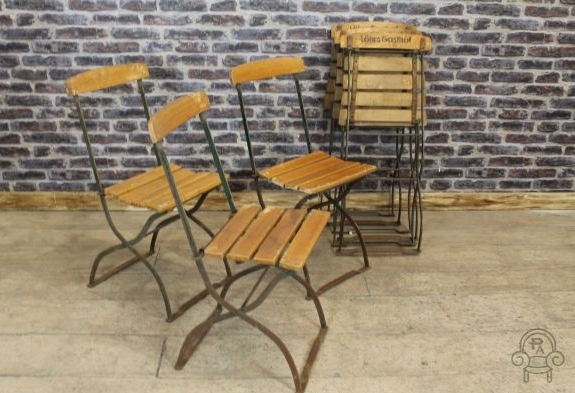 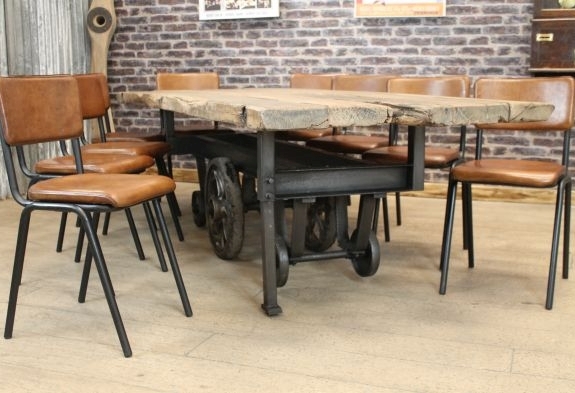 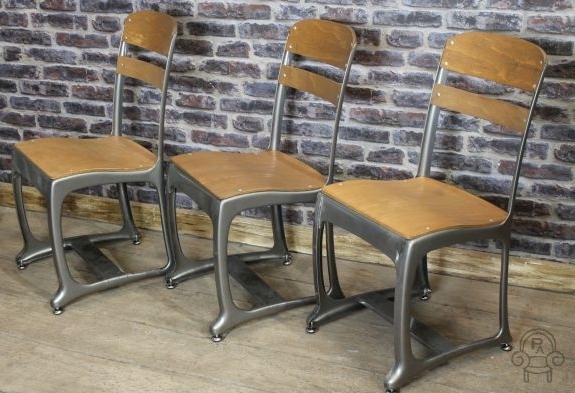 Vintage metal stacking chairs from our vintage and industrial furniture range. 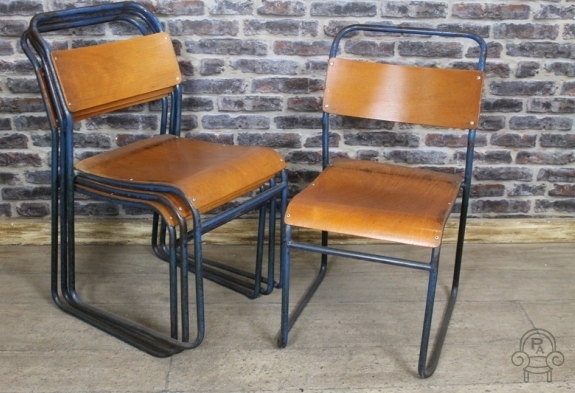 Featuring a painted blue frame and plywood seat, these chairs are very sturdy and would be ideal for a contemporary kitchen, or equally for a bar, restaurant or cafe. 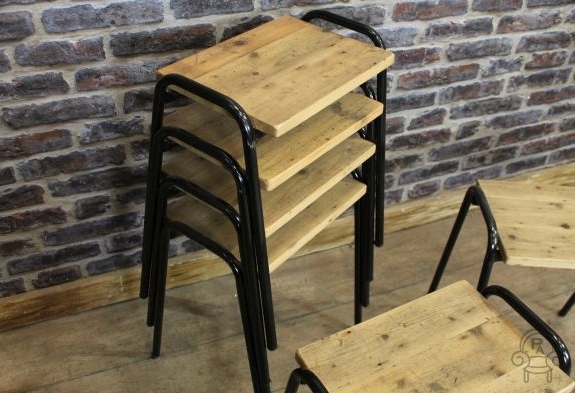 The chairs stack, making them easy to store when not in use. 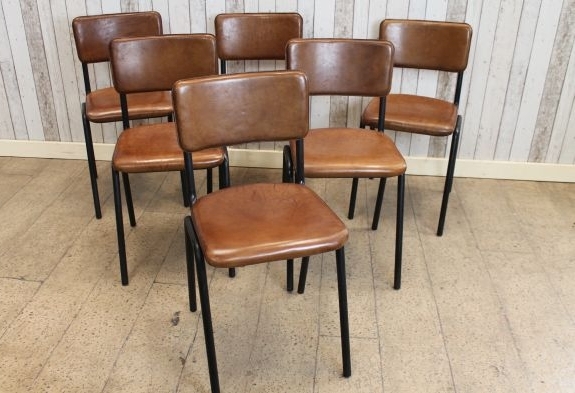 They are in good condition for their age, with no breaks to the steel work. 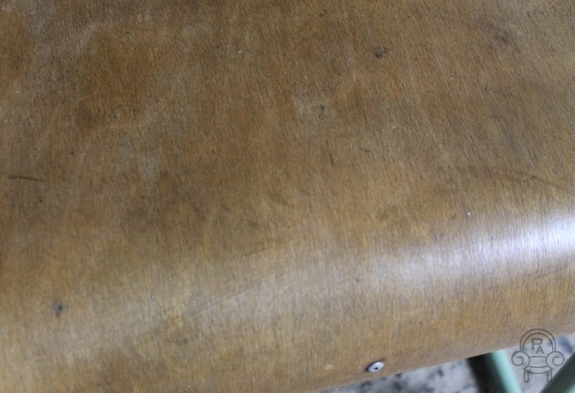 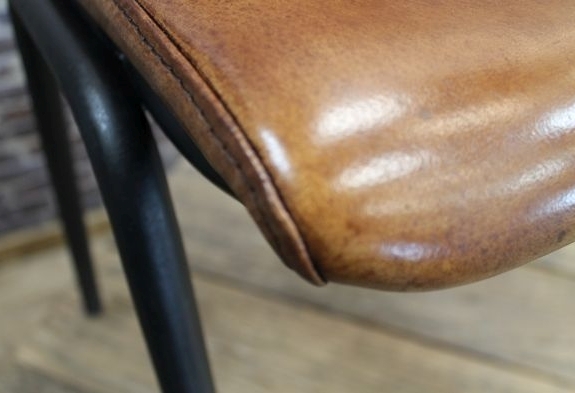 As you will appreciate, these chairs have been in daily use and so may show some signs of general wear and tear to the paintwork or the seat, we feel that this adds to the character of the chairs. 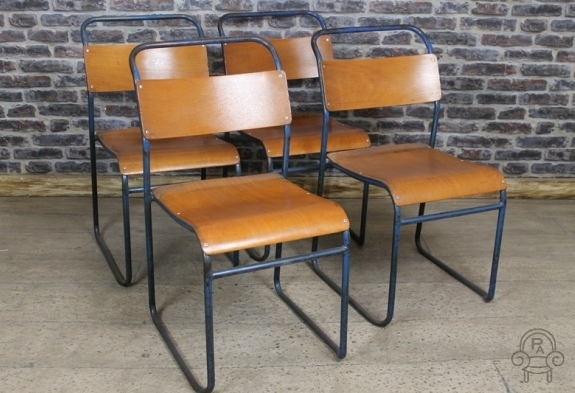 Please note — this listing is for one of our vintage metal stacking chairs only, but we do have more available. 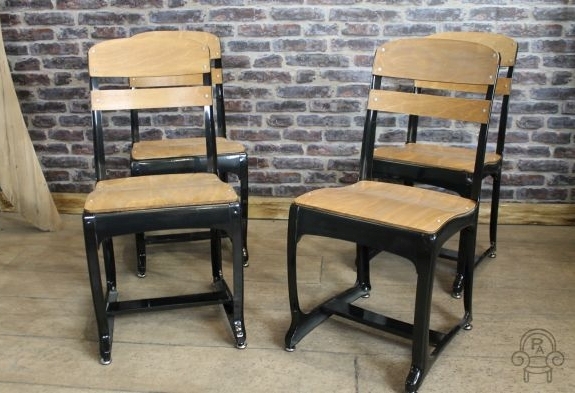 We have 100s of stacking chairs in stock in a variety of different styles, please browse our website to see the full range. 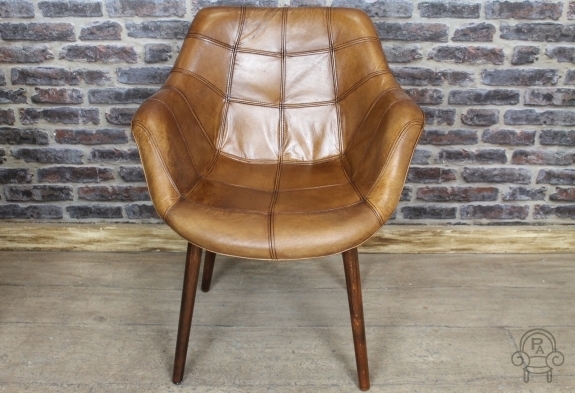 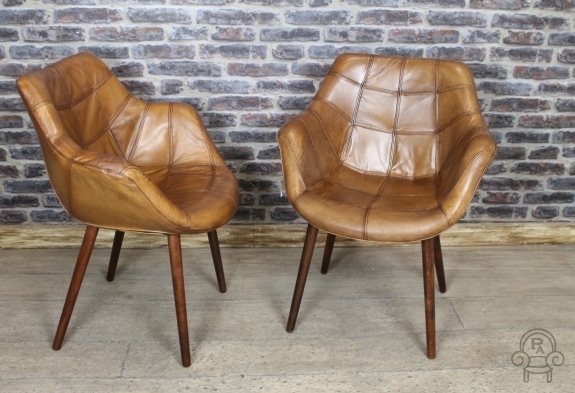 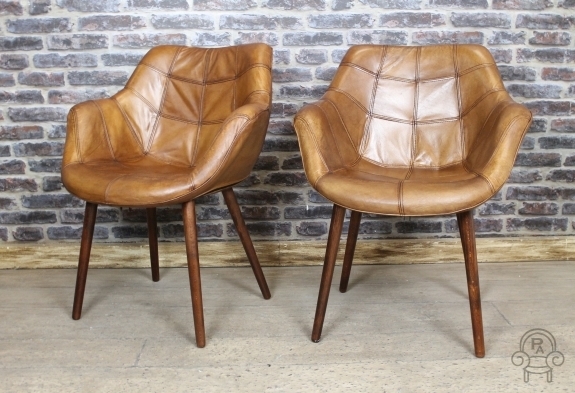 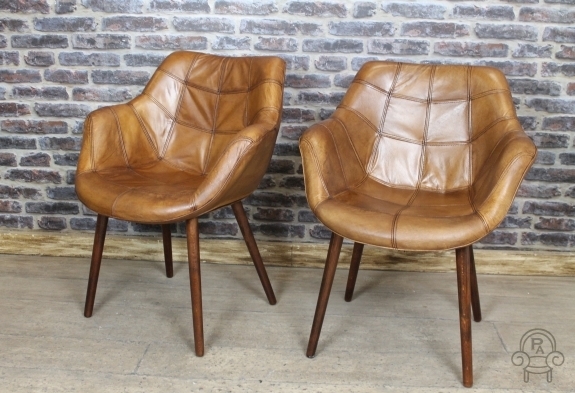 This vintage style chair features a lovely tan leather upholstery and would suit a range of different interiors. 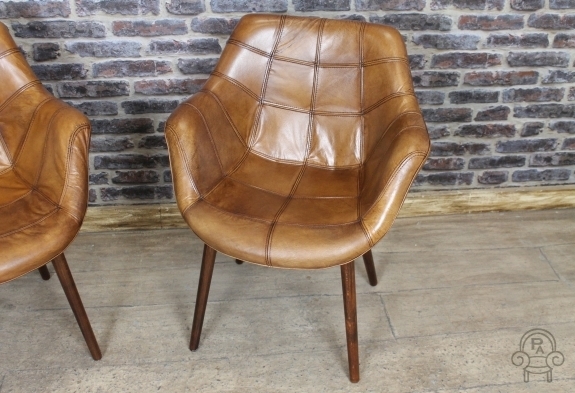 This excellent quality leather chair / bucket armchair comes from our wide collection of vintage and reproduction furniture. 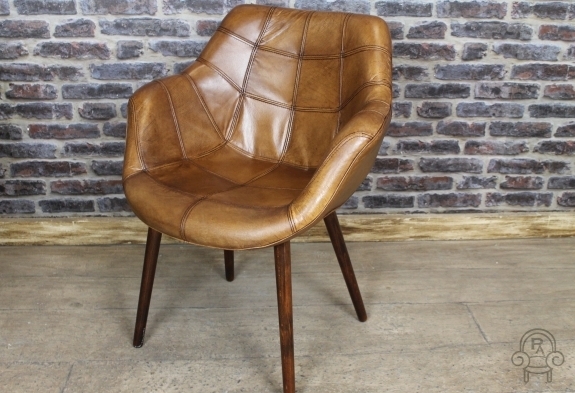 With its slight winged appearance, this comfortable chair would look fantastic in a kitchen or dining room. 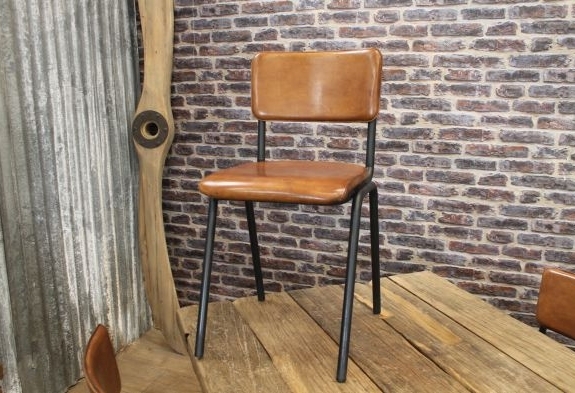 Equally, this chair would suit an office or library interior and could easily complement existing furniture. 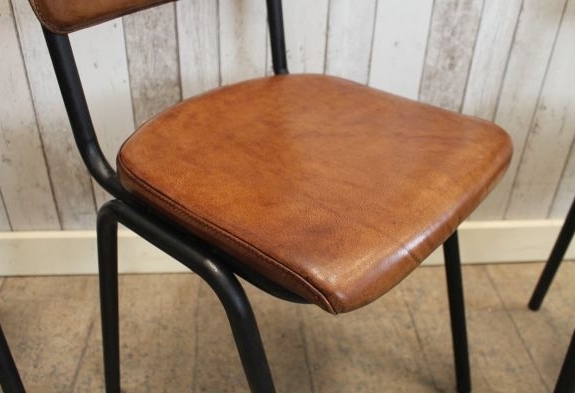 This Chepstow chair is also available in clay leather. 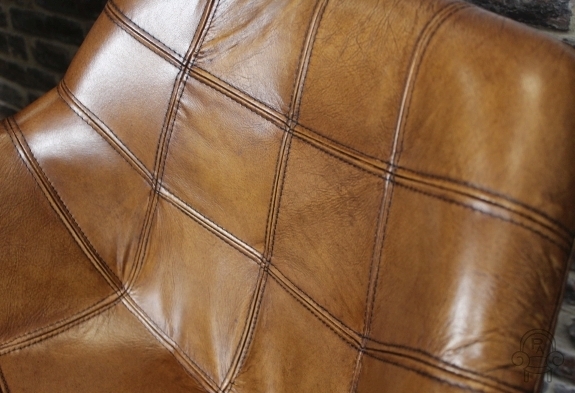 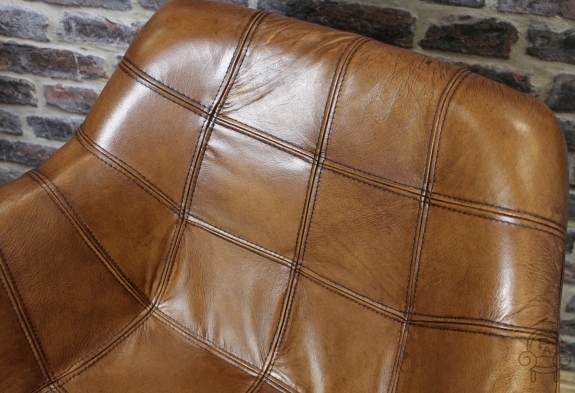 Please browse our website to view our full leather seating range. 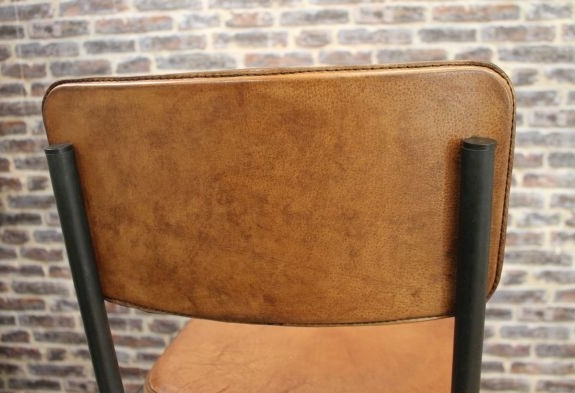 Please note: this listing is for one tan vintage style chair only, but we do have more in stock. 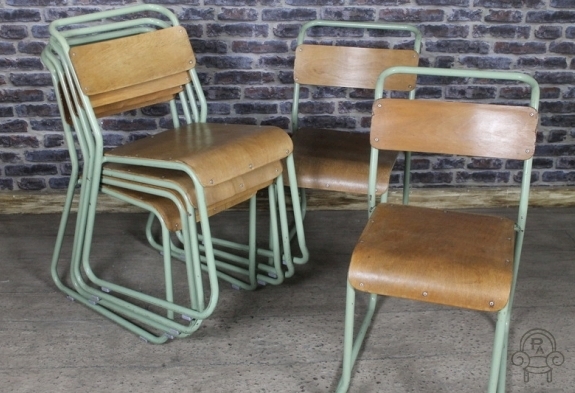 These retro science stools are a great addition to our wide range of vintage seating. 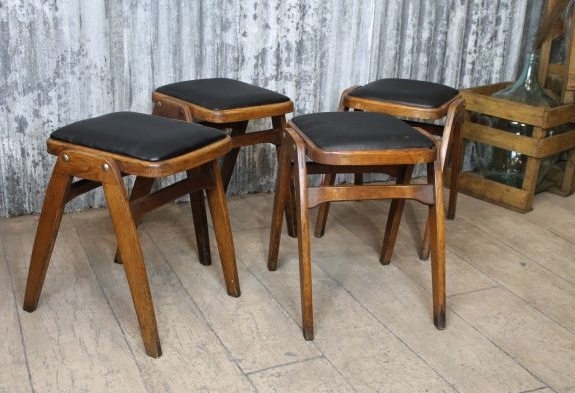 This is a fantastic opportunity to purchase these original low lab stools, all in an excellent condition. 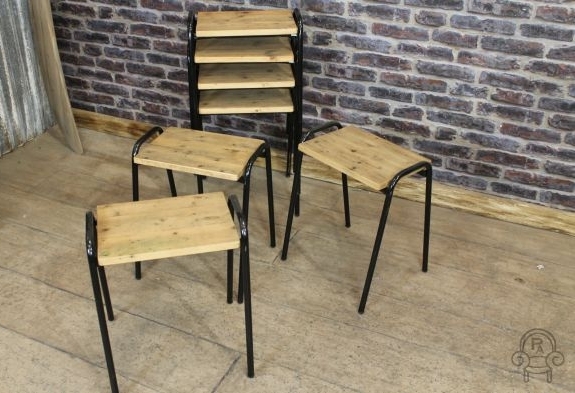 These stools have a seat height of 18″ with a reclaimed pine seat and are ideal for anyone who has limited space as they can stack up to 10 high for storing when not in use. 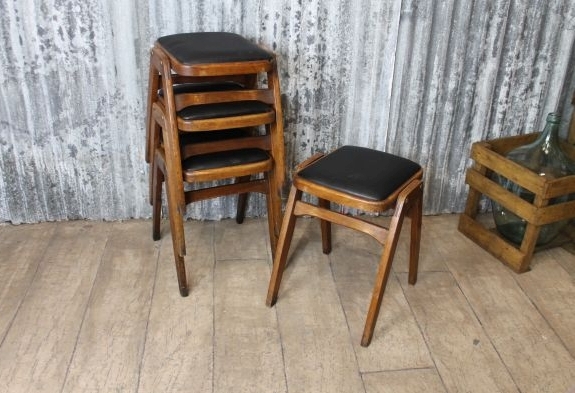 These stylish original stools would suit a bar, restaurant or domestic space. 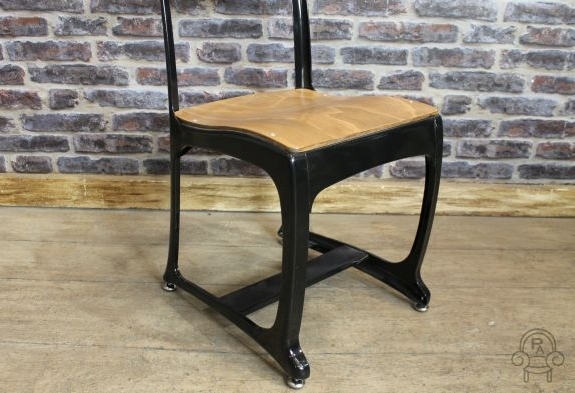 Please note this listing is for one of our retro science stools only. 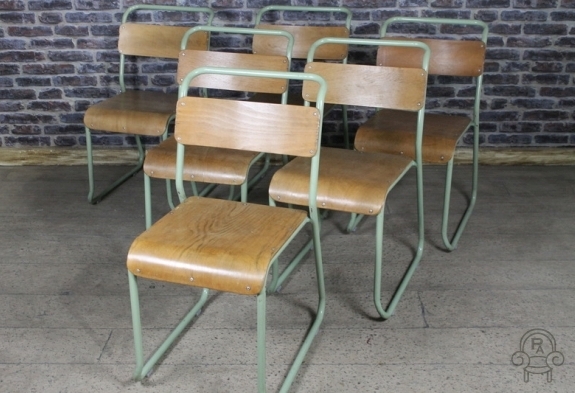 We also have taller science stools, please see our other listings for further details. 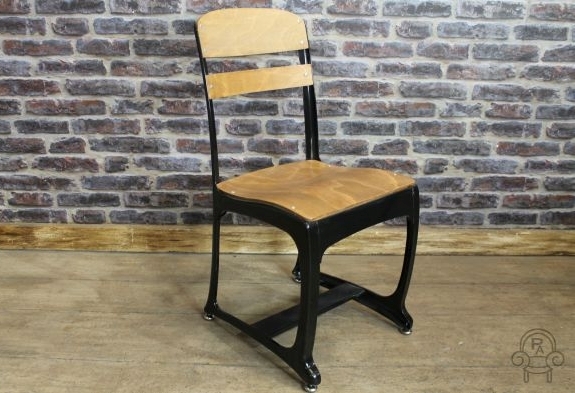 This vintage slatted chair comes from our range of vintage and industrial furniture. 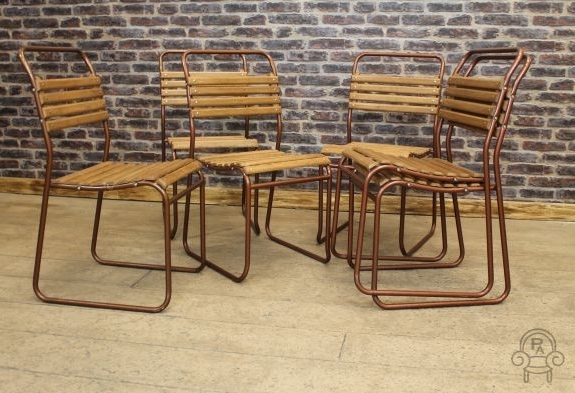 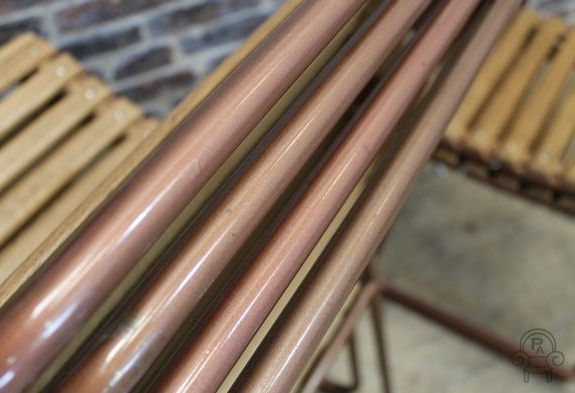 The stacking chairs are very sturdy, with a wooden slatted seat and lovely copper bronze finish to the metal frame. 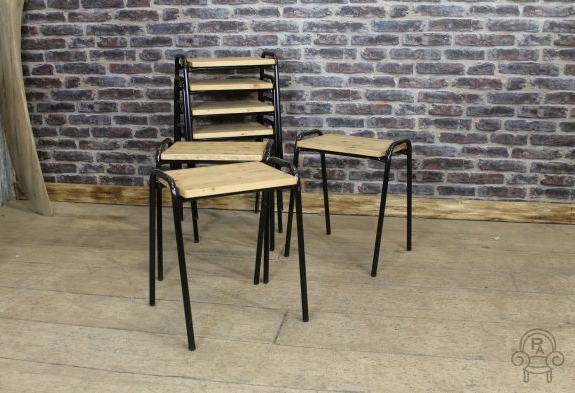 The chairs conveniently stack, making them ideal for small spaces as they are easy to store when not in use. 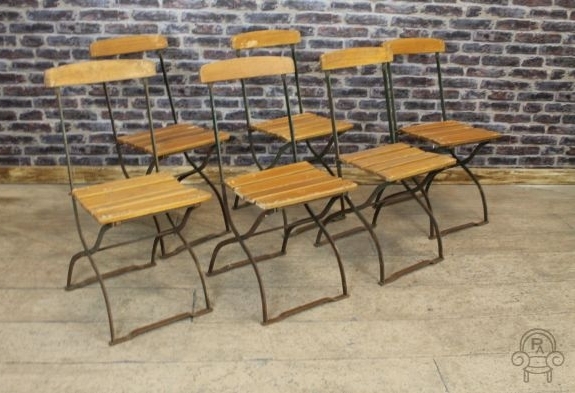 All of these original chairs are in a good condition for their age, with no breaks to the steel work. 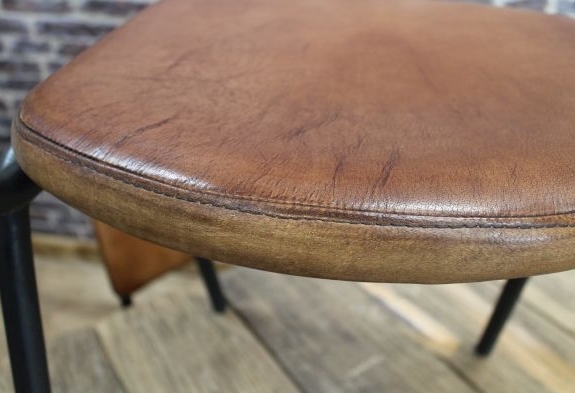 As you will understand, the chairs have been used daily and so some signs of general wear and tear to the paintwork or seat may be present and visible, however we believe this only adds to the character of the items. 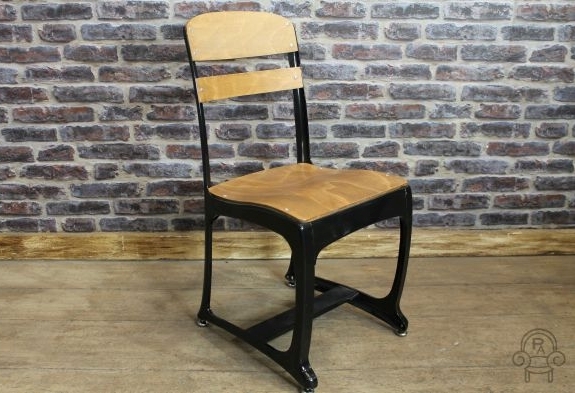 This vintage slatted chair would suit a domestic kitchen or dining room, or equally could be used as seating for bars, cafes and restaurants. 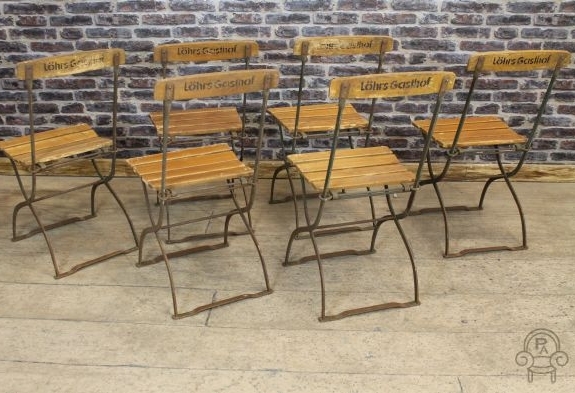 These fantastic vintage garden chairs date from the 1950s and would previously have been used in a restaurant, beer keller or other large commercial area. 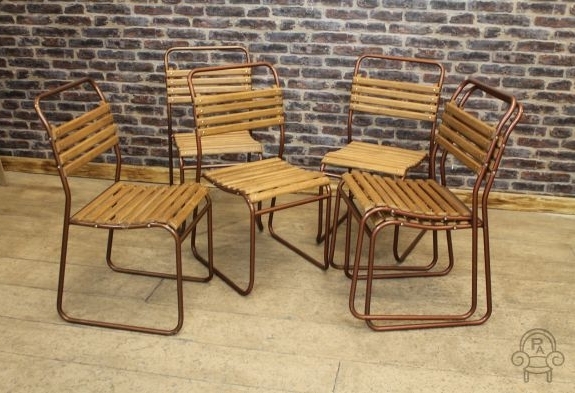 This is a great chance to buy a large run of these original continental folding garden / restaurant chairs, from our collection of vintage furniture. 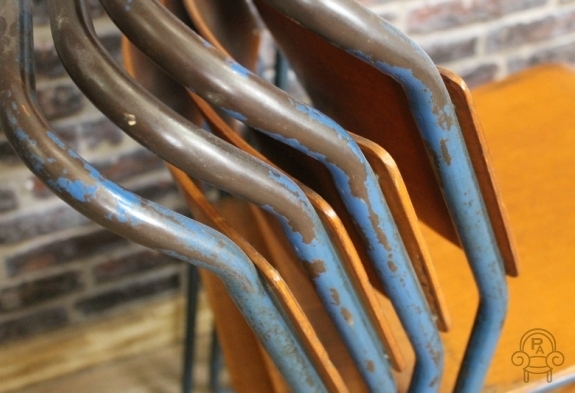 The chairs are in excellent condition for their age, but are rusted and worn in places — we feel that this only adds to the character and charm of these items. 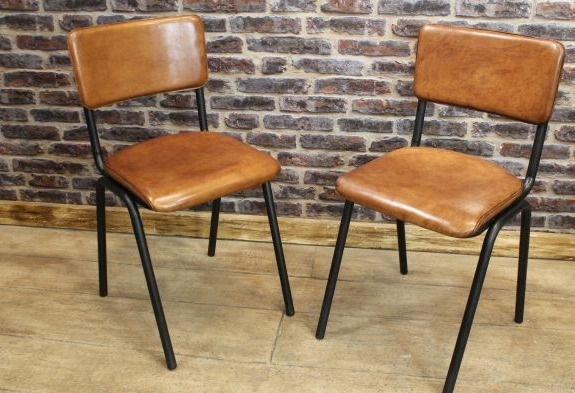 These chairs have come from one of our continental suppliers. 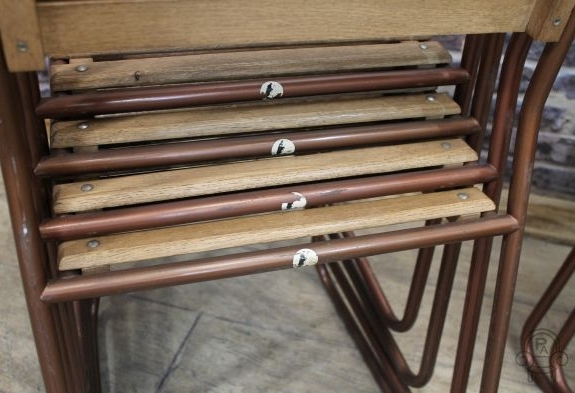 They have a warm paint appearance and writing detail on the rear, giving them a really unusual look. 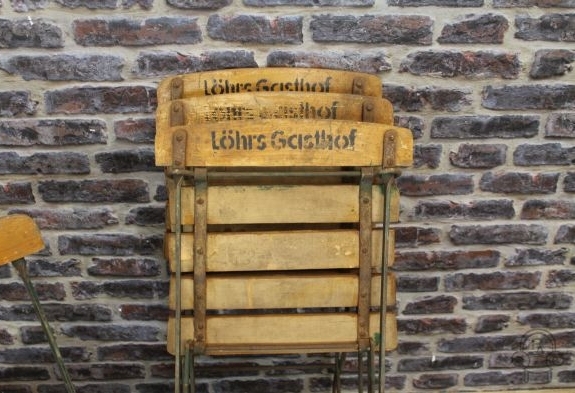 The vintage garden chairs conveniently fold away for easy storage when not in use. 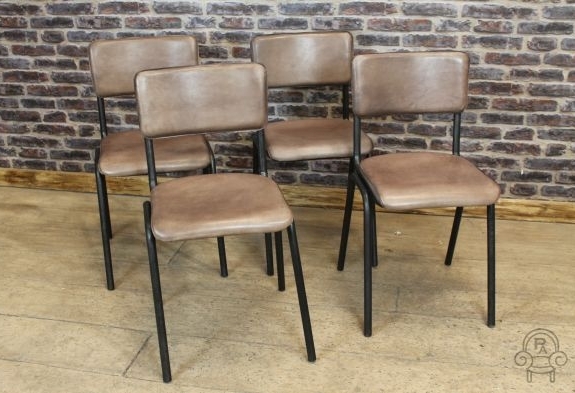 Please note this listing is for one chair only, but we do have a number available. 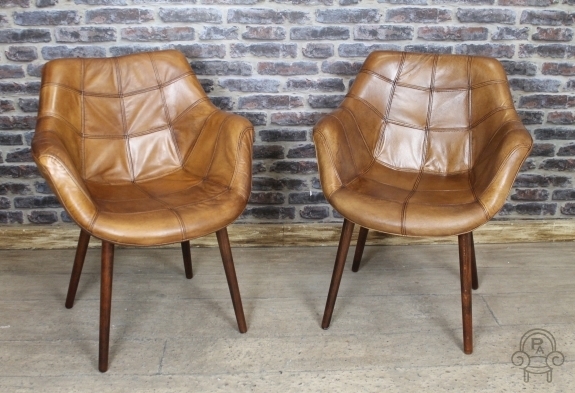 This extremely comfortable vintage style leather chair is a fantastic addition to our range of vintage inspired leather seating. 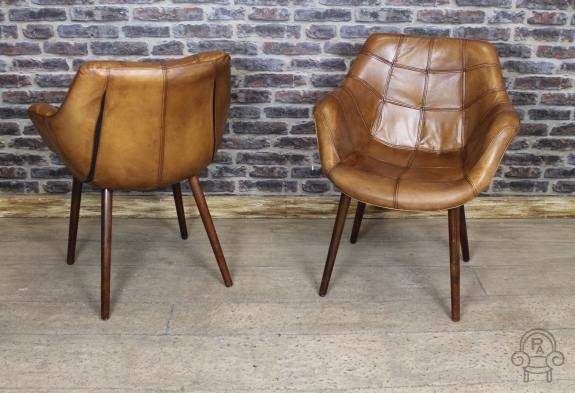 These stylish leather chairs are great for those with limited space as they conveniently stack for easy storage when not in use. 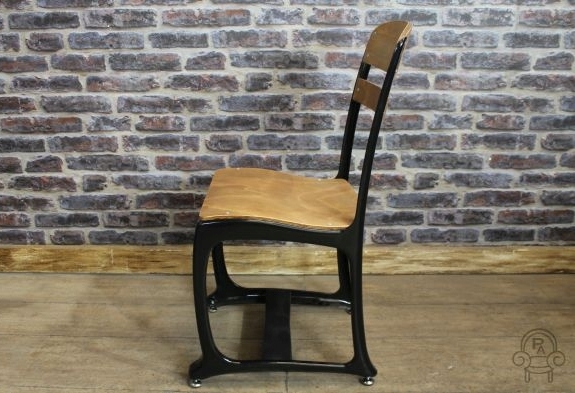 This superb quality steel framed chair features a lovely aged and distressed buffalo leather upholstery and a strong steel construction. 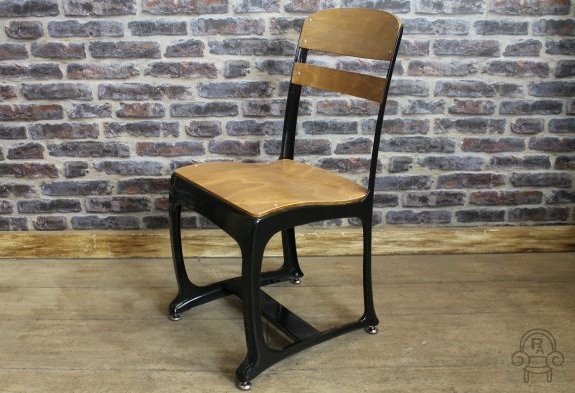 This beautiful vintage style chair would make a lovely feature in any domestic or commercial property. 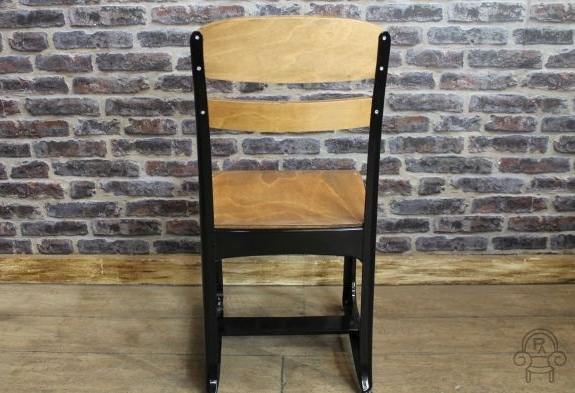 The Chelmsford chair is also available in clay. 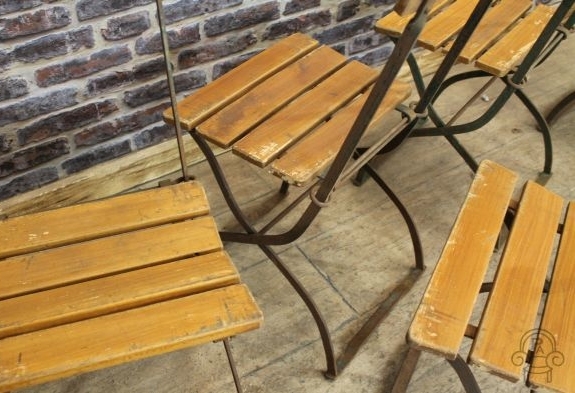 See our other listings for more details. 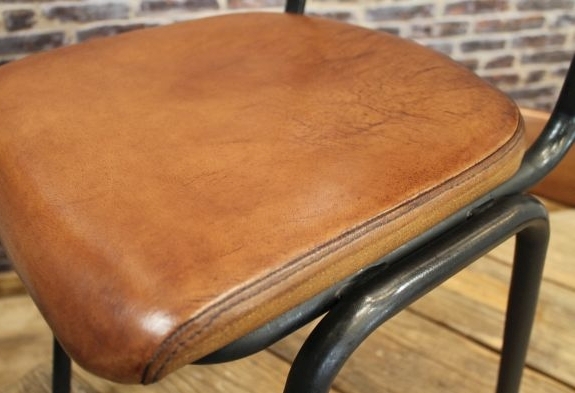 Please note: this listing is for one chair only. 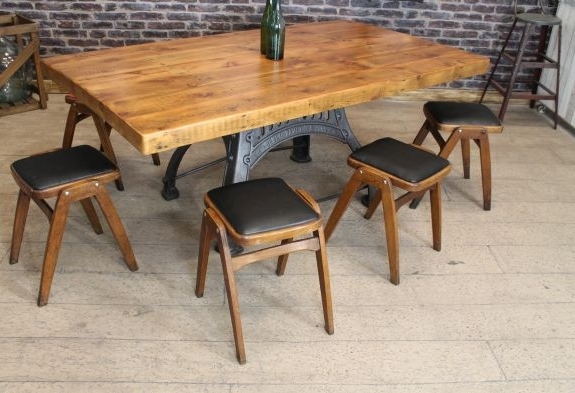 The other items photographed are not included in this listing. 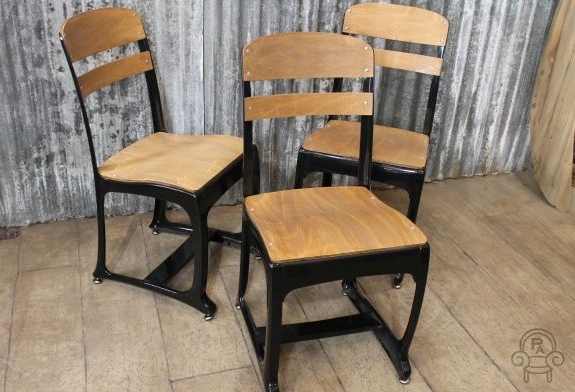 This vintage industrial inspired 1950s style ‘Eton’ chair features classic vintage and industrial styling. 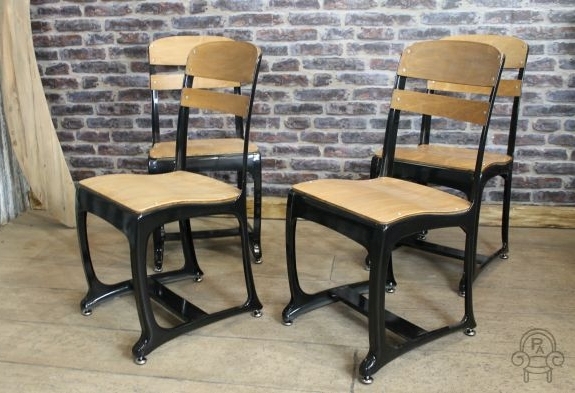 The Eton chair exudes an urban warehouse appearance; featuring a pressed steel frame, steam bent moulded aged plywood back and seat, and a powder coated black paint finish. 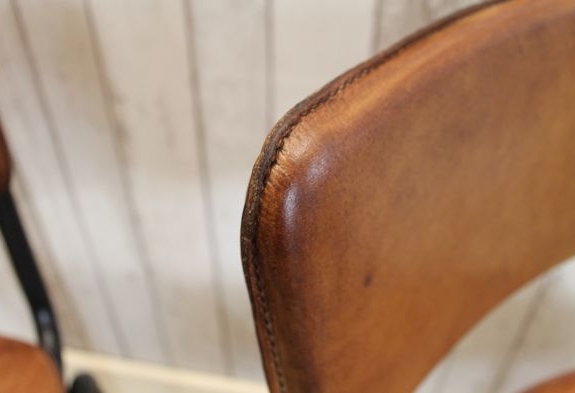 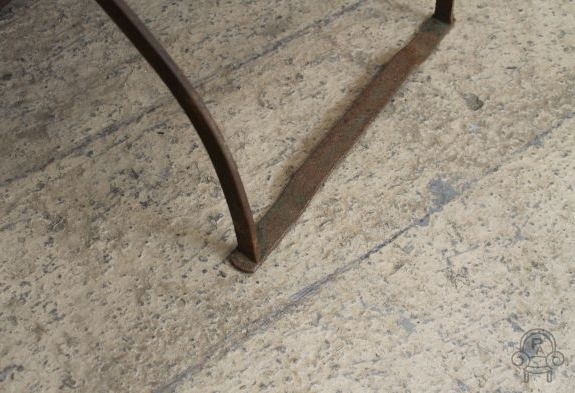 This chair also has added feet protections, helping to prevent scratches and marks to your flooring. 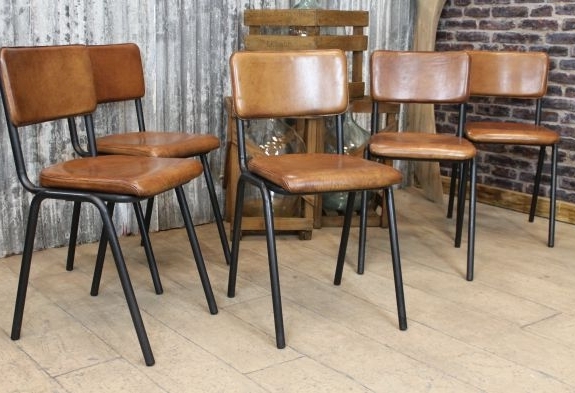 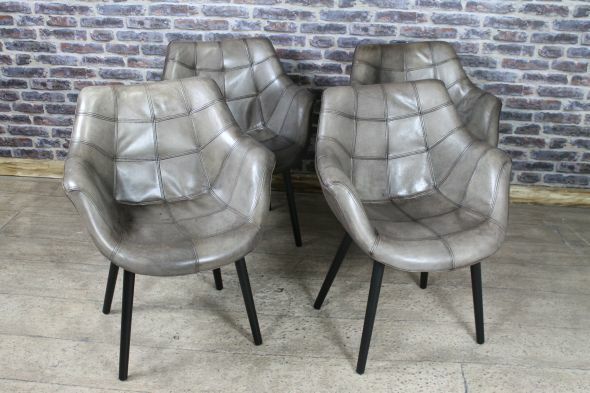 These chairs also come with an aged copper, gunmetal or white frame. 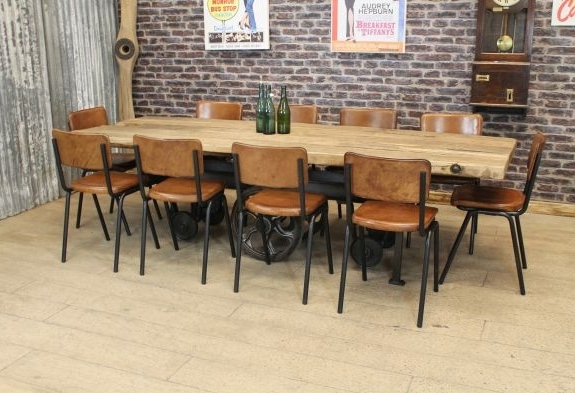 See our other listings for more details. 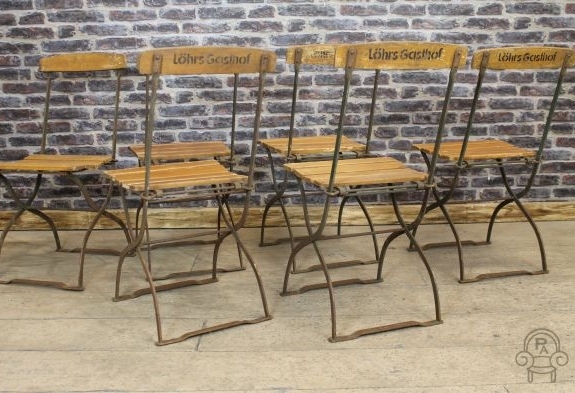 The chairs are available to purchase individually or in sets.